Lots of enthusiastic young basketballers joined Mayor Noel D'Souza to officially open the new junior basketball court at Coral Sea Park on Thursday 11 May 2017. View some of our photos from the official opening. Thanks to all who contributed to our online consultation. 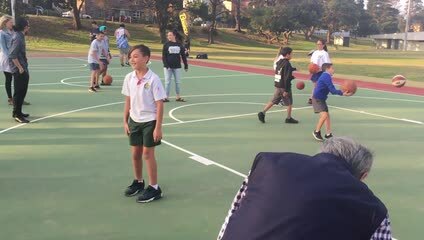 Council is now proceeding with detailed designs to build a new basketball court at Coral Sea Park, Maroubra following support from the community, with a majority of residents in favour of the proposed construction. Construction will commence in 2017. Any comments made by the community regarding the construction of the court are being considered by the Project Management team.